About: Gujarat Common Entrance Test abbreviated as GUJCET 2019 is an entrance examination for admissions to various undergraduate programmes in the state of Gujarat. It will be conducted on the official GUJCET 2019 exam date, 23rd April 2019. Features: GUJCET 2019 is the only entrance examination conducted by the state body of Gujarat for serving its citizens for admitting into UG programmes successfully for more than two decades. Courses: GUJCET 2019 examination will be the gateway for candidates who are seeking admission into B.Tech, B.Plan and B.Pharma programmes in all private and government institutions located in the state of Gujarat. 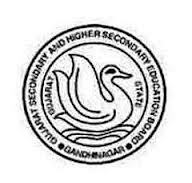 Authority: Gujarat Secondary and Higher Secondary Educational Board (GSEB) has the complete authority to conduct the GUJCET 2019 examination and the rights to allocate the seats to the registered candidates based on their performance in GUJSET 2019 examination. Admissions: Candidates seeking admission to Undergraduate Engineering/Pharma and planning Programs in the top engineering colleges in Gujarat, top pharma colleges in Gujarat can take up the GUJCET 2019. Registration: The registration process for GUJCET 2019 starts on 25th January 2019. GUJCET 2019 Exam Date: GUJCET 2019 entrance exam will be held on 23rd April 2019 as the combined examination for the admission of Engineering BE/B.Tech, B.pharma and B.Planning courses. Application Form: Candidates can apply for GUJCET 2019 through the official website from 25th January 2019 and the last date to complete the GUJCET 2019 Application process is 8th February 2019. Admit Card: The GUJCET 2019 admit card will be available from 20th March 2019 on the official website. Know more about important dates, go to the GUJCET 2019 Important Dates section. Educational Qualifications: Candidates who want to apply for GUJCET 2019 exams must have completed or pursuing Second PUC or 10+2 Higher Secondary or equal examination perceived by State/Central Government. Nationality: The candidates should be Indian nationals and permanent resident of Gujarat to satisfy the GUJCET 2019 Eligibility. Registration: Before filling the application form, the candidates are required to pay the GUJCET 2019 Application fee in any Punjab National Bank and should obtain their USER ID and Password. Application Process: In order to complete the application process for GUJSET 2019 successfully the candidates need to enter their personal details, school details, and examination details and upload the scanned image of the recent photograph, signature in the application form. Know more about how to submit GUJCET 2019 Application Form and payment ways. Medium and Duration: GUJCET 2019 examination will be in English, Hindi and Gujarati medium which is conducted in offline mode (Pen and Paper) and the duration will be of 3 hours. Marking Scheme: Each correct answer will be awarded (+)1 mark and there will be a 0.25 negative marking for each wrong answer. The Examination is conducted for a total of 120 marks. Know more about GUJCET 2019 Exam Pattern and the evaluation scheme. Credentials: Candidates applied for the examination needs to enter their Application Number and Password to download the GUJCET 2019 admit card. Specifics: The GUJCET 2019 Admit card contains the details such as the candidate's name, parent's name, exam centre, date of exam and other exam related information and guidelines. Know detailed instructions on how to download hall ticket in the GUJCET 2019 Admit Card section. Exam Centre Selection: Candidates are welcome to opt their preferred locations while filling the GUJCET 2019 application form. Diversity: GUJCET 2019 has arranged as many as 34 exam centres spread all across Gujarat and the candidates can choose any of the locations to write the examination. Know all the GUJCET 2019 Exam Centres and its detailed locations. Topics: The candidates can expect the questions from the topics that are included in the existing Class 11 and 12 Physics, Chemistry and Mathematics. Reference: Candidates can refer to the GUJCET 2019 reference books and Sample papers. Know more about GUJCET 2019 Syllabus and the important topics. Date: Candidates can check their GUJCET 2019 results from 22nd April 2019 on the official website. Credential: To download the GUJCET 2019 results, the candidates are expected to enter their Login ID and the respective Password. Know more about GUJCET 2019 Results and cut off marks for different colleges. Counselling Date: The counselling of GUJCET 2019 begins on 6th May 2019. All eligible candidates are expected to attend the counselling process to get admitted. Documents Required: The Candidates are Expected to bring all the original documents as prescribed in the GUJCET 2019 notification. Know more about GUJCET 2019 Counselling process and documents needed. Corporate Office: Gujarat Secondary and Higher Secondary Education Board. To take admission in BE You pass 12th and GUJCET, there is one entrance exam that is GUJCET, the cutoffs for my course is 12300 rank. The minimum eligibility criteria is to pass 12 with science and take GUJCET entrance exam. You have to score good marks in 12th science as well you have to score well in GUJCET exam (Entrance exam). Usually, our college's EC department admission is easy and anyone can get it. In general, your ACPC rank must be below 30,000. GUJCET and 12th marks will be accountable during the admission procedure. The Eligibility criteria for IITE is around 70 Percentile Score In Board Exams For GSEB students. Also, Students needs to apply For GUJCET Exam. For Electrical Branch, The cutoff was around 58 Percentile. Admission is through ACPC has done by Gujarat govt Gujcet examination. Around 70% and percentile may be around 70 and rank should be before 25k. You're supposed to appear for GUJCET at that time when I took the admission. According to your marks and rank, college and courses are offered. Nowadays you might have to give IIT JEE or may be other state exams. A good college I took GUJCET. entrance exam to take admission Typical cut off for my course information technology was INR 11000. You've to pass 12th Science with fair results and to pass GUJCET entrance for getting an admission or you can pay the donation to get admission. Eligibility Criteria Is Around Average Students Will Find It Helpful to Take Admission In This College. Entrance Exams through GUJCET 2017 Cutoffs for this Course Is Around 60-70% In HSC.